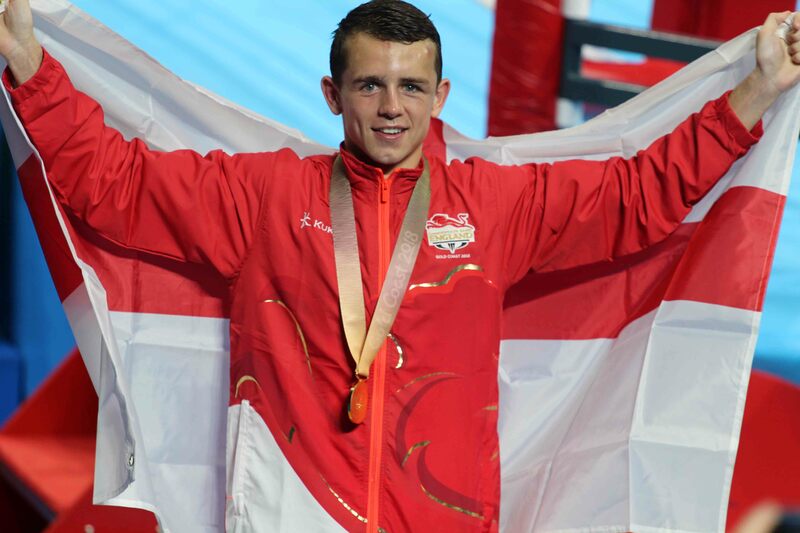 GOLD medals for Lisa Whiteside, Galal Yafai, Peter McGrail, Pat McCormack, Sandy Ryan, Lauren Price and Frazer Clarke cap a triumphant fortnight for the GB Boxers each representing their home nations at the Gold Coast 2018 Commonwealth Games. Of the 12 men and 5 women from the GB Boxing squad that entered the tournament, seven won their categories. 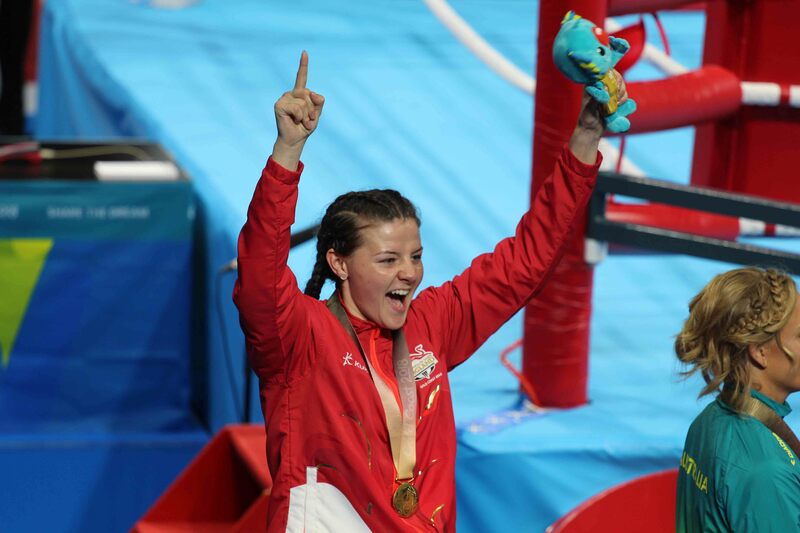 England’s Paige Murney secured a silver medal and Luke McCormack, Cheavon Clarke, Mickey McDonagh and John Docherty each came away with bronze. Rob McCracken, Performance Director, GB Boxing said: “This was a tremendous showing from the GB Boxers at the Commonwealth Games representing England, Scotland and Wales. “England won six gold medals on finals day, four for the men and two for the women. 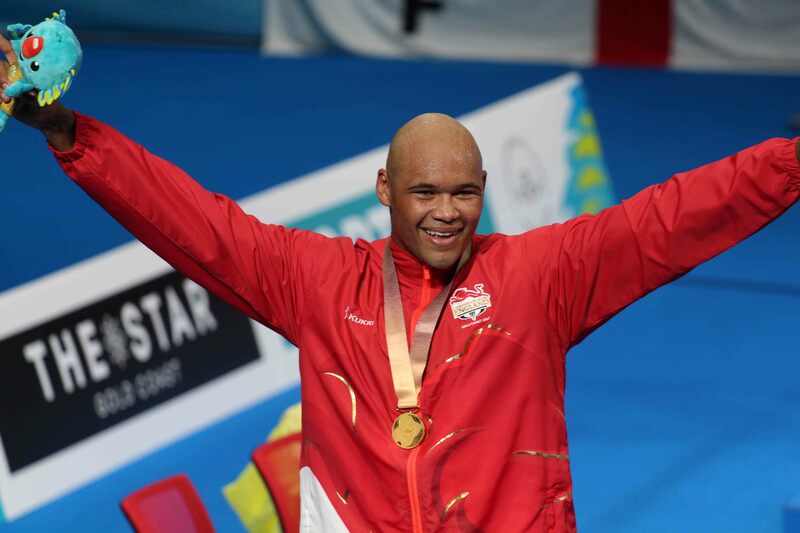 Wales also collected two gold medals with current GB boxer Lauren Price, finishing a great tournament, Scotland’s 75kg John Docherty also did well in collecting a bronze medal in yesterday’s semi-finals. Light-flyweight, Galal Yafai, got the team off to a great start in todays final with a split-decision win over Indian boxer, Amit. He was quickly joined at the top of the podium by Preston’s Lisa Whiteside who dominated Northern Ireland’s Carly McNaul to secure a unanimous win in the women’s flyweight contest. Rookie lightweight, Paige Murney, put on a superb contest in what was only her eleventh international bout, settling for silver after losing by unanimous decision to Australia’s home nation boxer, Anja Stridsman. Kick starting the early evening session on the Gold Coast was England boxer, Sandy Ryan, who faced her neighbouring home nation boxer, Rosie Eccles of Wales. The pair got off to a competitive start, with Sandy having the upper hand, winning her final by 3-2 split decision. Representing Wales, was middleweight Lauren Price, who continued to dominate her opponent, winning her bout by 4:1 split decision. Peter McGrail kicked things off in the men’s early evening session with a win over Northern Ireland’s Kurt Walker, claiming a Commonwealth Gold to add his to already impressive collection of medals. Pat McCormack showed all his class to beat Northern Ireland’s Aidan Walsh by unanimous victory, securing his place on the top of the podium. Last up was Frazer Clarke, who capped a triumphant day for England as he continued GB Boxing’s tradition of producing top-class super-heavyweights by earning a unanimous win over Satish Kumar of India to secure the last Commonwealth Gold of the day in his first ever multisport international tournament. 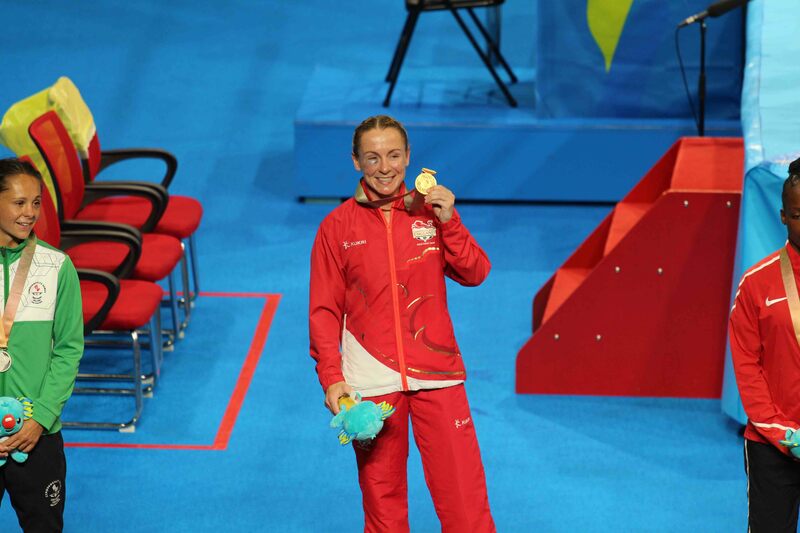 Lisa Whiteside said: “I’m just absolutely made up, to be always so close to getting on top, to stand on top of that podium today – it’s not just ‘yeah I’ve won the Commonwealth Games (gold)’, but I’ve had to bide my time. I’ve had to take knocks, I’ve been sat in the shadows and now it’s me, Lisa Whiteside, number one 51kg girl and number one at a Commonwealth Games, I’m made up. GB Boxing, veteran, Frazer Clarke said: “There are a couple of lads who would have liked the gold medal and didn’t quite get it. Ben Whittaker is a talent for the future. Look out for him. He is coming through. We are all GB Boxing here, all good lads. Cheavon Clarke and Luke McCormack as well. He could have been a gold medal. “Our aim is to go back, work with the good people that we work with. Carry on listening and carry on learning and we go again. “I had a few people telling me that this would be a walkover. I have boxed him before and knew that he is very strong and I knew he is very fit. I wasn’t 100%. It’s been a long couple of days. Yesterday was one of the toughest fights I have had for a long time. I got in there and did what I had to do. You can follow the GB Boxers on their road to Tokyo 2020 @gbboxing on Twitter, Instagram and Facebook.